Every rabbit is special in his own way. But Wally - well, he's just spectacular. Wally is a very pampered rabbit whose adventures are featured on his very own Instagram page. 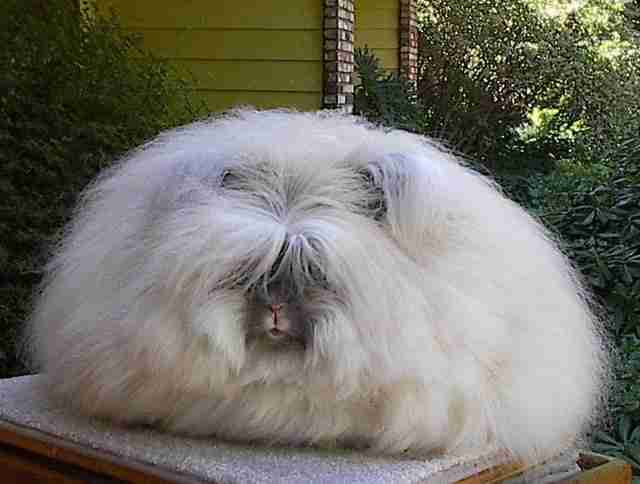 An English Angora, Wally should look like a giant puffball. But his owner treats him to a regular haircut that leaves him looking absolutely adorable. Angoras are often bred for their long, silky wool, which can lead to very bad lives for the poor rabbits. Fortunately, Wally got lucky and is living with his loving owner in Massachusetts while showing off what a good pet he makes. Before you run out and adopt your own Wally, do your research. Rabbits are very high-maintenance pets, often more demanding than even cats or dogs. And Angoras in particular are hard to keep, as their hair requires special care. But with a face like this, who wouldn't be up for such a big job? For more Wally adorableness, follow him and his owner on Instagram.